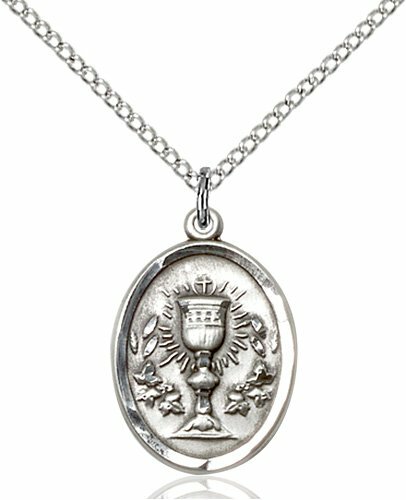 This stunning sterling silver medal has a beautiful Chalice surrounded by the wheat and grapes from which we get bread and wine. 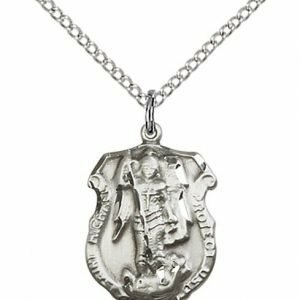 The medal measures 3/4″ x 1/2′ and comes with a light 18″ stainless steel chain. 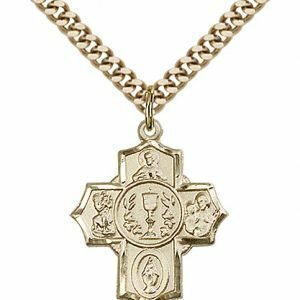 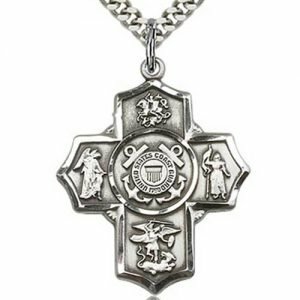 This necklace features a stunning sterling silver medal with a beautiful Chalice and is perfect for First Communion. 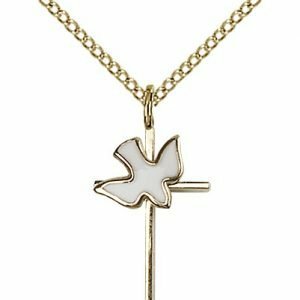 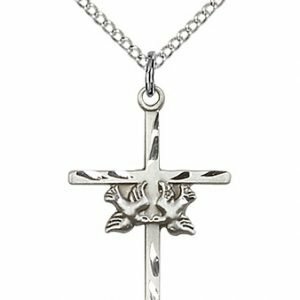 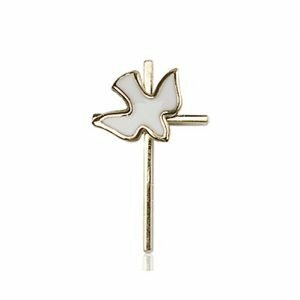 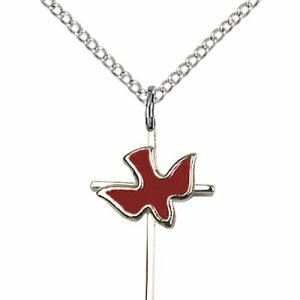 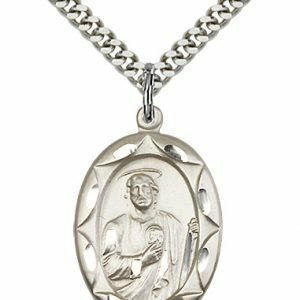 This sterling silver First Communion necklace is a great gift idea for a First Communicant. 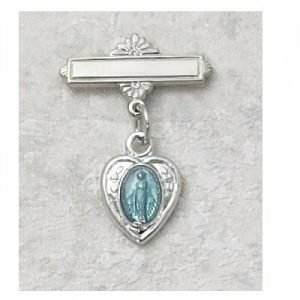 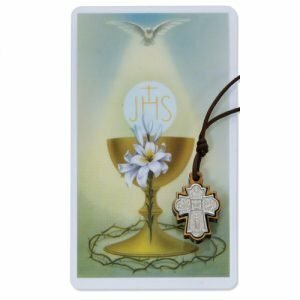 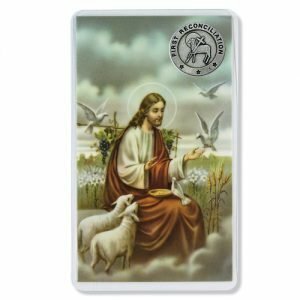 It is a classic piece of First Communion Jewelry.